Singapore 17 October 2016 – CBRE is pleased to launch the sale of 162 Joo Chiat Road and 252 Joo Chiat Road, two individual corner road shophouses with development potential in the heart of Katong/East Coast. The sale for 162 Joo Chiat Road will be conducted via an Expression Of Interest (EOI) exercise, while 252 Joo Chiat Road will be conducted via a Public Tender exercise. Situated within the eclectic neighbourhood of Eastern Singapore, both the freehold Joo Chiat shophouses enjoy excellent site attributes as they are configured with a rectangular site layout, and are situated on corner plots commanding dual road frontages and excellent visibility. 162 Joo Chiat Road is a 2-storey with attic shophouse that comes with a 3-storey rear extension, located at the junction of Joo Chiat Road and Crane Road. It has a land area of approximately 1,674 square feet, and the current gross floor area is approximately 3,494 square feet, with a potential maximum gross floor area of 5,021 square feet. One street apart from 162 Joo Chiat Road is 252 Joo Chiat Road, a 2-storey conservation shophouse, located at the junction of Joo Chiat Road and Ceylon Lane. It has a land area of approximately 2,207 square feet, and the current gross floor area is approximately 3,098 square feet, with a potential maximum gross floor area of 6,620 square feet and a new rear extension that can be developed. Both shophouses are zoned under “Commercial” usage under the 2014 Master Plan, within the Joo Chiat Conservation Area, and comes with a plot ratio of 3.0. By conserving the front facade of the shophouses, new extensions within the conservation guidelines are permitted up to a building height of 5-storeys. There is potential to increase and maximize the gross floor area for both Properties. Public transport is also easily accessible along the main roads with additional connectivity enhanced via the Properties’ close proximity to 3 MRT Stations - Paya Lebar Interchange, Dakota MRT Station and upcoming Marine Parade MRT Station. Joo Chiat was declared Singapore’s first Heritage Town in 2011, as part of the government’s initiative to promote a vibrant Peranakan and Eurasian heritage. The Joo Chiat identity is especially shaped by its unique architecture – colourful shophouses and terrace houses with ornate facades, intricate motifs and ceramic tiles. The shophouses at Joo Chiat form a charming corner in Eastern Singapore, reflecting the typical architectural styles of the turn of the twentieth century that have been preserved, as well as many unique and straits eclectic styles which gives the area its true flavor. Given its unique mix of exquisite history and culture, the area has evolved into a creative hub for both local and foreign creative professionals. New businesses such as art galleries, design studios, upmarket retail outlets and eateries have emerged, while a number of shophouses have been restored. These additions further enhance the allure of Joo Chiat and can expect to draw fresh crowds to the area. Also popularly known for its great street foods and eateries specializing in Peranakan delicacies, Joo Chiat has begun to see a more eclectic mix of East-West restaurants. With the completion of One KM, Paya Lebar Square and the upcoming integrated development by Lend Lease and the Abu Dhabi Investment Authority, these various enhancements will further boost the vicinity’s vibrancy and allure. 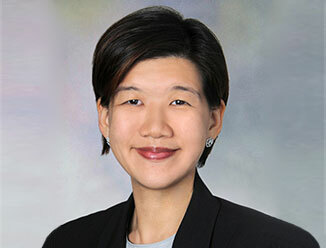 Sammi Lim, Director, Investment Properties, CBRE said, “Following CBRE’s recent successful sales of 201 Joo Chiat Road, 42 to 46 Joo Chiat Road and 292 to 298 Joo Chiat Road, wehave observed increasing interest from buyers seeking shophouse purchase opportunities in the East. The rich heritage flavor in the East, combined with the new waves of redevelopments and continual transformations in Joo Chiat, East Coast and Paya Lebar, have sharpened the focus on Joo Chiat as the next hotspot with strong potential for future growth. While some shophouses fall under full conservation status, there is particular interest for shophouses like these two Joo Chiat assets that come with potential for enhancement, the intensification of the property’s plot ratio and the constructing of a new 5-storey rear extension. This potential for value-add allows for further upside for the Properties. What makes it more compelling is that the two shophouses offered are sold on a very palatable and attractive price quantum, presenting an excellent opportunity to a wide spectrum of target audiences both locally and overseas, including investors, developers, HNW individuals and owner-occupiers. Given the Properties’ full commercial zoning, buyers are not affected by additional buyer’s stamp duty, and seller’s stamp duty. CBRE is the sole marketing agent for both Properties. The Expression of Interest exercise for 162 Joo Chiat Road will close on 29 November 2016 (Tuesday) at 3pm. The Public Tender exercise for 252 Joo Chiat Road will close on 23 November 2016 (Wednesday) at 3pm.